Join us for a Basic Rights Workshop. Wednesday November 7, 2018 is Transition Night at the FHS from 6 -7pm. 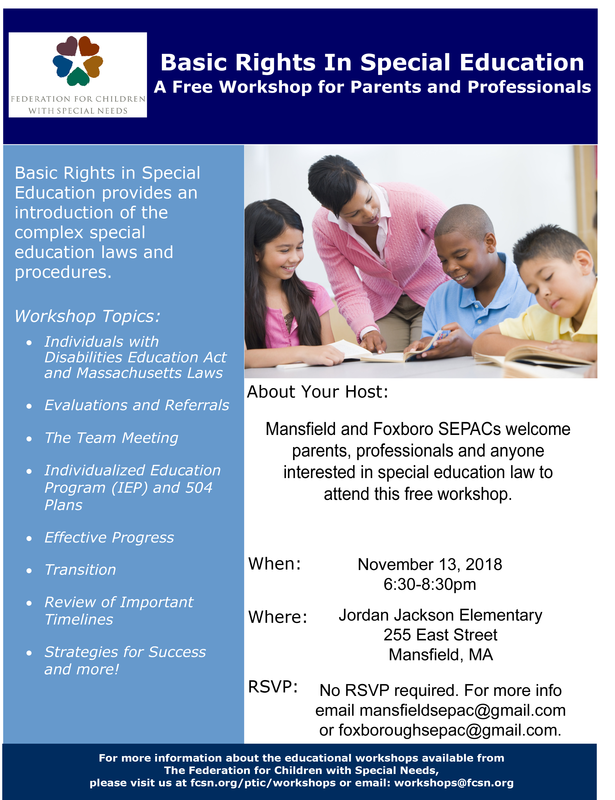 This is not a SEPAC event, but it is pack full of helpful information for any parent or guardian of a special needs young adult between the ages of 14-21. Run by the career specialist at the HS, numerous organizations will be represented on-site. Navigating health care financing for a child with special health needs is often challenging. What is available? What is my child’s eligibility? Are there premiums? This presentation consists of an overview of the Affordable Care Act and MassHealth/CommonHealth, an explanation of pathways to eligibility, how to access benefits and services, and the associated costs. Please join us for a workshop with Katherine Schwab LMHC about how to disclose and help your child understand their ASD diagnosis. Where do they fit in “on the spectrum”? What are their specific strengths and needs? This workshop is free and open to all. Space is limited, and preregistration is required. Watch for our upcoming monthly newsletter COMING soon!! 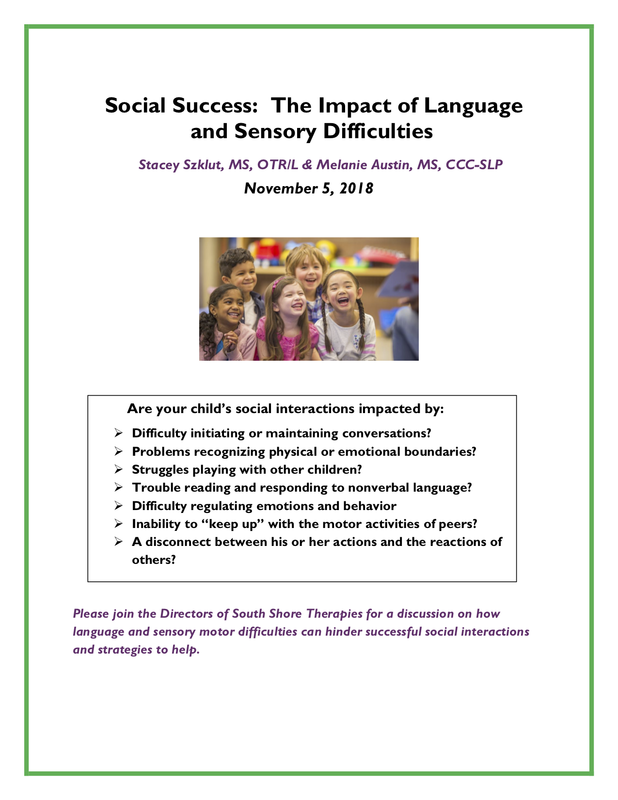 2017/2018 SEPAC Brochure are now available. Submit a request thru our contact page and we'll have one sent. Share your experiences, concerns and ideas with other parents. SEPAC is a great way to learn more about successes and issues taking place in our schools. Participation is voluntary and opens up opportunities to meet school officials, other parents and to stay informed on policy changes. SEPAC is a network of parents of children with disabilities dedicated to supporting families with all types of needs. Please join us at our next meeting if you’d like to ask some questions, discuss a concern, help in planning an upcoming social event! Interested in print outs from past meetings? Founder's Day 2017 was a success! And our sharpest shooter turned out to be one of the smallest players with an incredible aim! Thank you to everyone who helped to make this event a success! We can't wait until next year! On May 4, 2017, Foxboro SEPAC hosted an exclusive viewing of the New England Patriots LI Super Bowl Trophy for Foxboro's Special Needs Families. Pat the Patriot and the New England Patriots Cheerleaders joined us for an evening these wonderful kids and their families won't soon forget! We would like to thank the New England Patriots and the Foxboro YMCA for their collaboration with our us on this event. It was as exciting for the adults ad it was for the kids! Click the address below and sign up to receive our monthly newsletter packed full of informational news concerning special educational programs in and around our schools.